Publisher Bethesda says that its upcoming Fallout 76 not launching via Steam is due to the firm wanting to have a close relationship with customers. That's according to VP of PR and marketing Pete Hines, who GameSpot that the company wants to have a direct relationship with consumers due to the game being an online experience. 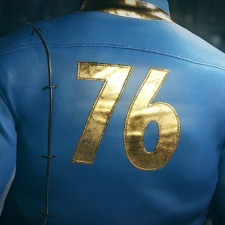 "Well because of the kind of game it is," Hines said when asked by Fallout 76 is bypassing Steam. "Because it's an online, always-on game-as-a-service. Based on our experience based on other things that we've done, we felt like having a direct relationship with our customers was super important to us. And so doing it through Bethesda.net, exclusively, allows us to have that one-to-one relationship with customers, that quite honestly you don't always have when you go through another third-party where they might own the relationship with the customer in terms of being able to email them or to reach out directly and contact them." Bethesda isn't the only company giving Valve's platform the shake this year. Call of Duty is launching on Blizzard's Battle.net launcher for the first time, while CD Projekt RED is releasing The Witcher card game Gwent on its own GOG.com set up. With Epic proving you can have a big mainstream hit on PC without being on Steam, it's likely some companies are thinking they can do the same - and not be giving up 30 per cent of revenue, too.